Public school systems are so busy trying to emulate the business world they forget that educators can teach other sectors how to motivate employees. Schools are more like rap groups and teams than banks, and the art of motivating school employees should reflect that reality. 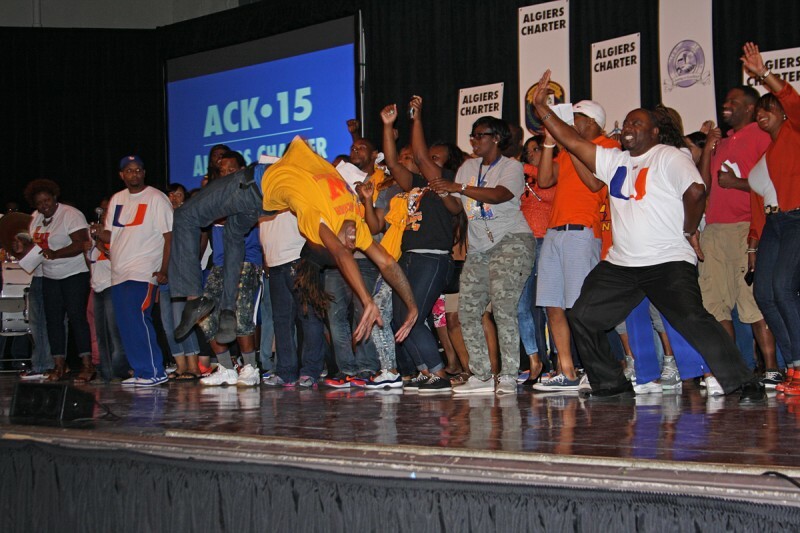 Last week, I served as a judge for the Algiers Charter’s Kickoff 2015, a pep rally/competition for faculty and staff of the charter network to celebrate the new academic year. Personnel of each school competed for the Swag Flag for the best cheer, determined by judges. The contest was followed by a motivational speech, and Adrian Morgan, CEO, presented the charter network’s goals and strategies for the upcoming year. I would love CEOs in the private sector to have seen Algiers Charter motivate their employees. Typically it’s the opposite. Several schools lean on TED Talks and Steve Jobs-like rallies to make big announcements or kickoffs. Reform’s current focus on standards-based curricula and choice certainly motivate growth in a way that Adam Smith, forefather of the political economy, could appreciate. Philosophers like Kenneth Strike have noted that, in this perspective, students are viewed instrumentally as consumers and future workers. In this frame, schools are built to push individual success, productivity and competitiveness. Schools improve with infusions of human capital, which leads to the consequential removal of people who could not meet assigned targets. From this perspective, schools look more like corporations and/or banks, in which bottom lines are met, individual advancement is “merited” and success is brought to scale. Algiers Charter CEO Adrian Morgan rapping at the Kickoff 15 pep rally. Motivation is about validating a community while compelling it to improve. The goal of school reform isn’t to simply increase test scores; it’s to improve communities. To what end is reform, if community values are debased? We shouldn’t try to reform schools in spite of community. 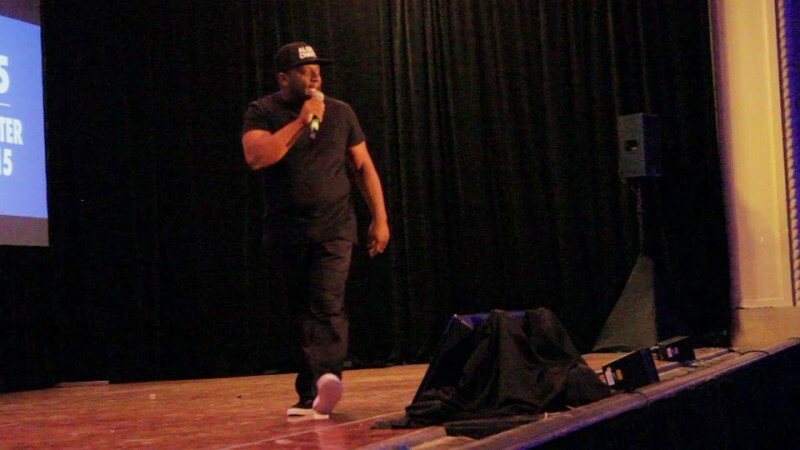 Consequently, more CEOs should be rapping. The goals of an organization can be taught in ways that uplift starting from the foundations of where folk come from. For too long, making a scholar meant imitating a white man from New England with thick rims, a grey beard and elbow patches. We should motivate people by accepting where they are from and what they bring to market of ideas. By no means is Morgan a rapper (I’m extremely happy he chose to be an educator), but I would love to see Jack Welch, former CEO of General Electric and business icon, motivate a school. He would have to rap the values of a school’s community. Morgan also presented the organization’s goals using a standard-issue PowerPoint. But other exuberant performances proved that strategic planning, motivation and reorganization can feel like home. If we want community members to teach, lead and service their own organizations, we must honor them. Algiers Charter has always been a community effort. Before the national stalwarts of the charter school movement settled in a drain New Orleans, a group of city residents who resided on the West Bank of the Mississippi River – Algiers – formed a nonprofit that would eventually be the first organization to open schools. The Algiers community was largely spared from the flooding that inundated most of the East Bank. While the New Orleans Public School Board was terminating 7,500 employees, Algiers Charter (the nickname of Algiers Charter School Association*) selected principals who were also choosy in whom they hired. One of those hires, Rene Lewis Carter, would become Louisiana Middle School Principal of the year. She trained under another decorated leader in the network, Mary Laurie, who is featured in Sarah Carr’s book, Hope Against Hope. Go Algiers Charter! Build momentum for the upcoming year by validating the people who need change.